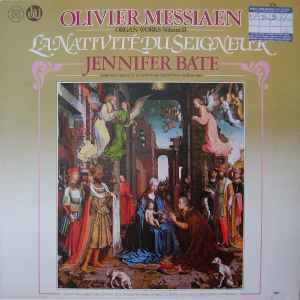 Recording Location: Grandes Orgues de la Cathédrale Saint Pierre de Beauvais, France, recorded between 15th and 19th August 1980. Technical information: Recorded utilising a single Calrec 'Soundfield' microphone feeding a Sony 1600 Digital Recorder. This record is Ambisonic UHJ 2-channel encoded, stereo compatible. It may be perfectly played as ordinary stereo. However, a greatly enhanced sense of space and direction will be obtained using an Ambisonic UHJ decoder feeding four or more loudspeakers. Cover painting: 'The Adoration of the Kings' by Jan Gossaert (called Mabuse). Reproduced by courtesy of the Trustees, The National Gallery, London. Label: Made in W. Germany. Sleeve printed in West Germany.